Current Occupation Dean of the Faculty of Law at the British University in Dubai; UAE Construction Law expert; accredited trainer in construction law and dispute resolution. Expertise Construction Law & Dispute Resolution in UAE & the Middle East; Real Estate law; Employment law; Professional Liability. 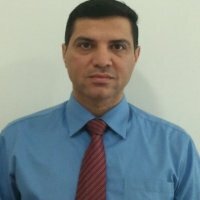 Current Matters legal expert witness in construction law disputes, training Dubai lawyers on Ethics & Civil Law; leading a research project on post-completion liability. Selected Publications Masadeh, A. (2014) “Vicarious Performance and Privity in Construction under the law of United Arab Emirates” International Construction Law Review (ICLR), Volume 31, issue 1, p.108. Masadeh, A. (2013) “The court’s supportive role in Arbitration under the law of United Arab Emirates” International Journal of Humanities and Management Sciences (IJHMS) Volume 1, Issue 1, pp.129-131. Arbitration and Dispute Resolution; Construction Law 1 & 2. •	Bristol University: Contract Law. •	Middlesex University: Contract Law. •	Saint Joseph University (Dubai Branch): Contract law; Property Law under Common Law and legal obligations. -	LLB: Sources of Obligations (Contract law, tort law & Unjust Enrichment); Evidence Law; Procedural Law; Property law; Principles of Commercial Law; Commercial Papers and Banking Transactions; Labour Law; English Terminology, Introduction to Law; Private International Law; nominate contracts; Insurance Contract; Execution Law. -	LLM: Advanced Civil Law; International Commercial Contracts (In English). -	MA of Health Care Management (A Joint Program with the Royal College of Dublin): Ethical and Legal Aspects of Health Care Management (In English). •	New York Institute of Technology (NYIT): Business Law I & Business Law II. •	Qatar University: Intellectual Property and Commercial Law. My ICLA-Philosophy Creating an international community of academics and professionals of construction law. This will help exchanging views of how international standard contracts operate under the local laws of the several schools of law.